and those affected by domestic violence. K9 Kokua receives many unique calls regarding cruel or abusive situations AND THESE ARE ONLY A FEW OF THOSE. **See our Facebook page for current situations. 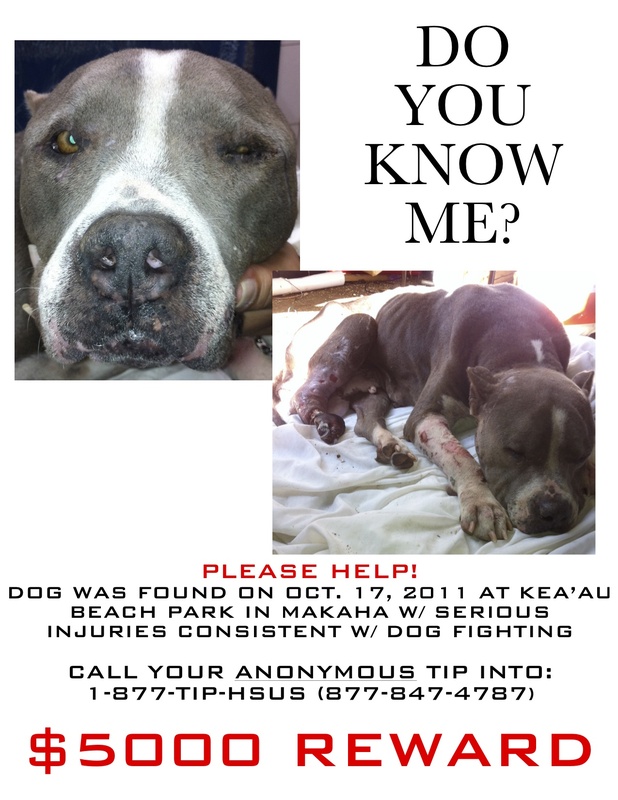 K9 Kokua volunteers have been the first responders to the cases listed here. We immediately took the dogs into our veterinarian's office and provided for all of their vet care. As with all cruelty cases, we report to and cooperate with all local and mainland authorities in an effort to find the person(s) responsible for the cruel act(s). *If you have any information regarding any of the cases, please call the numbers listed on the individual REWARD posters. All tips will remain anonymous. a report of 2 6-month old sibling puppies that were discovered on Halloween, brutally beaten to death, stuffed into trash bags (with latex gloves) and dumped next to a high school. 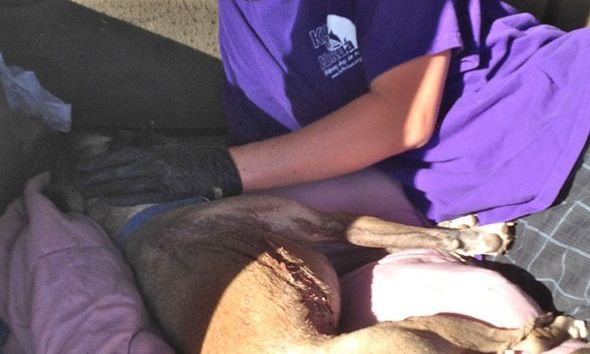 Again, these are just a few of the horrific cruelty cases that we have responded to. In each of these, K9 Kokua volunteers responded to the scene immediately. They are experienced with the chain of evidence and proper protocol regarding cruelty cases/situations and fully cooperate with any law enforcement agency for the common good of catching the abuser. Together, we can encourage others to speak up against violence against dogs! 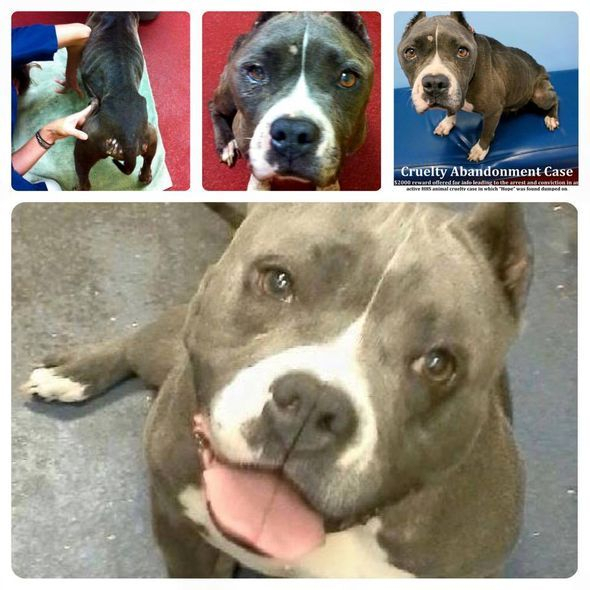 *see the page "medical issues/updates" for more info and pics of Titan Conan, the puppy that was stabbed, Since his abuse, he made a full recovery and now lives a very happy and safe life with his adoptive ohana! 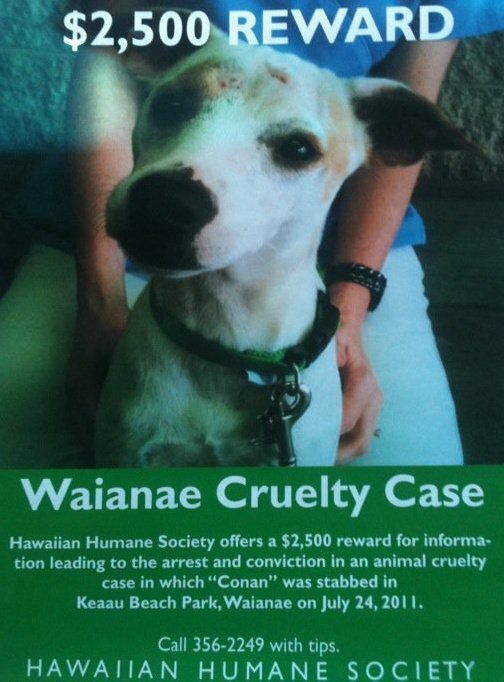 HPD calls K9 Kokua for assistance; dog shot in Maili. There is a total of $4000 reward still active for information leading to the arrest of person that shot Champ. Donations make Emergency Response possible. Help save a life by donating $20 today! Send us an e-mail if you would like to join us @ Humane Lobby Day!